"The Cricket, who was a wise old philosopher" said to Pinocchio "Woe to boys who refuse to obey their parents and run away from home! They will never be happy in this world, and when they are older they will be sorry for it." 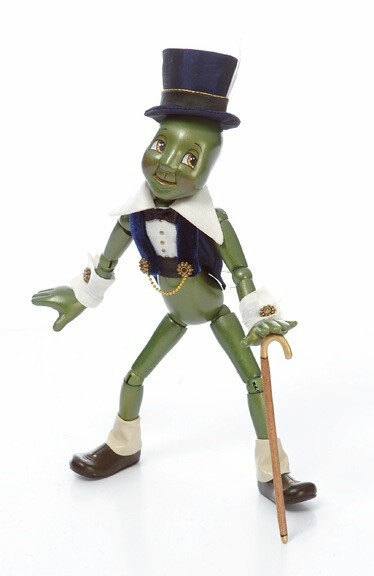 Our wonderful wooden Cricket is approximately 9 inches tall and he has 13 moveable joints. He is elegantly dressed in a tuxedo with has cuffs on his wrists and he sports a wonderful top hat.